Now that you’ve tucked away your kids’ bathing suits and bought new backpacks, what’s next on the list? Don’ forget to visit the dentist. At a regular dental checkup, your dentist will not only clean your child’s teeth but also check for any problems. Caught early, they can be quickly fixed and will prevent your child from missing school due to dental-related illness and eliminate the need for costly dental procedures. A big part of the dentist’s role is to monitor children as they grow. 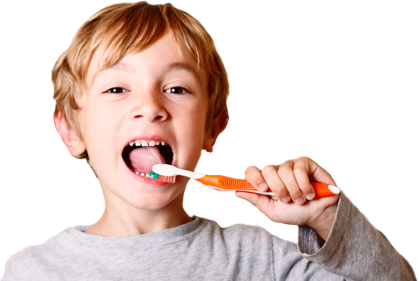 They see where things need to improve and can give you the tools to maintain and improve your child’s oral health. During the actual dental checkup, your dentist will review your child’s dental and medical history, examine your kid’s teeth, jaws, and oral tissue, clean and polish your child’s teeth and then apply a fluoride solution. Find a toothpaste flavor that your child will enjoy. Most kids are put off by strong, minty flavors that are usually inherent in adult toothpaste, so try to avoid those. Choose a few different “child-friendly” flavors and see which kind your child likes the best. The more they like it, the better chance you have of getting them to use it. Flossing is an annoyance for adults, let alone children. In order to make flossing more appealing for kids, consider getting them floss picks. They are easy to use and come in fun colors and flavors. This will likely increase your child’s willingness to floss and will become less of a battle for you. Because most kids don’t understand the concept of time, they often fail to brush their teeth for the required amount of time. Luckily, there are several fun-looking tooth brushing timers that will help you and your child keep track of how long they brush their teeth. That way, they get the full 2 minutes worth of proper cleaning. Pack your child a healthy lunch and snack. Fresh fruit, vegetables, and cheese are great choices for school snacks. Cheeses, Swill and Cheddar, in particular, are especially good for your child’s teeth because it neutralizes acids. Acidic foods such as fruit juices and sodas should be avoided because they erode tooth enamel. Foods that are sticky or chewy should also be avoided since they allow the bacteria in plaque to produce more acid.